Machined Tapered Nut (7/8″-9 Thread) Fits Forward Yoke On Manual Model. 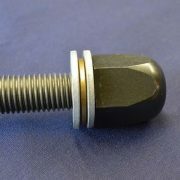 Acorn Nut Assembly Fits 7/8″-9 Threaded Rod, Black Oxide Plated. Heavy Hex Acorn Nut Includes Bronze Oilite Thrust Bearing and Hardened Steel Washers. 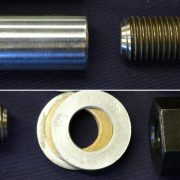 Threaded Rod Assembly 13″ (Single), Includes Acorn Nut, Bronze Oilite Thrust Bearing and Hardened Steel Washers. 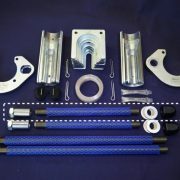 Threaded Rod Assembly Includes (2) 7/8-9 x 13″ B-7 threaded rods, (2) Acorn Nuts, (2) Bronze Oilite Thrust Bearing and Hardened Steel Washers and (2) Long Machined Tapered Nuts. 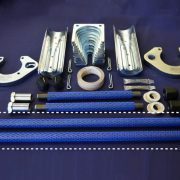 Complete Assemblies. Threaded Rod Assembly 7/8″-9 x 20-1/2″ (Single), Includes Acorn Nut, Bronze Oilite Thrust Bearing, Hardened Steel Washers and Machined Tapered Nut. Complete Assembly. Threaded Rod Assembly 7/8″-9 x 20-1/2″ Long (Two Sets), Includes Acorn Nut, Bronze Oilite Thrust Washer, Hardened Steel Washers and Machined Tapered Nuts. Threaded Rod 7/8″-9 x26″ Grade B-7 All Thread, Champhered Ends. Single Rod only. 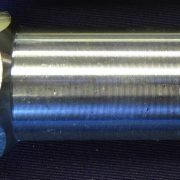 Threaded Rod 7/8″-9 x 20-1/2″ Grade B-7 All Thread, Champhered Ends. Rod only. Threaded Rod 7/8″-9 x20″ Grade B-7 All Thread, Champhered Ends. Rod only. Threaded Rod 7/8″-9 x 13″ Grade B-7 All Thread, Champhered Ends. Rod only. 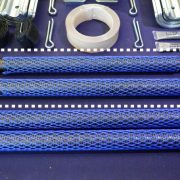 Threaded Rod 7/8″-9 x 10″ Grade B-7 All Thread, Champhered Ends. Rod only.